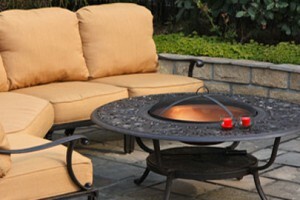 As your authorized patio furniture dealer in Tampa, Florida, Patio Land does not accept ‘good enough’. 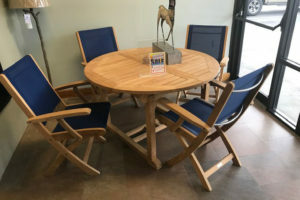 We always strive to maintain the best possible selection to ensure that you have every opportunity to find the best furniture to suit your specific needs, but we also make sure that we offer our selection at the best possible prices. 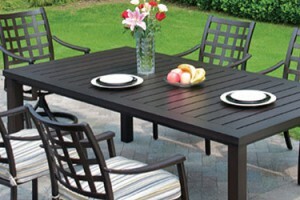 Because we value affordability and durability, we are proud to offer Telescope Casual® aluminum outdoor patio furniture. If you are looking for more information about the brand or why we are proud to offer it, read on. 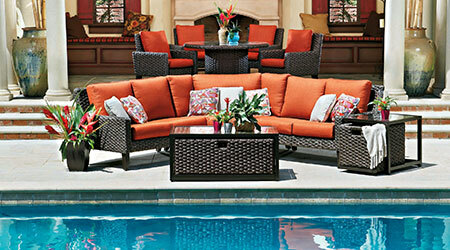 The company itself has been around since 1903, using a few simple ideas to approach outdoor patio furniture. These relatively simple ideas are what made the difference for the company’s customers though. 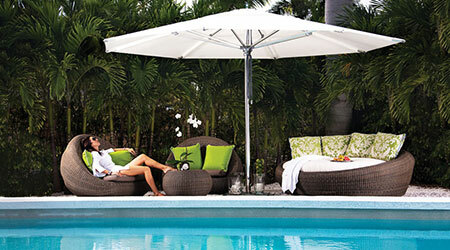 Durable, affordable pieces, a customizable style, and the use of innovative materials have made Telescope Casual® one of the market leaders when it comes to patio furniture. For a company to last more than a century and continue to grow as a brand, it needs two things: quality products and fair pricing. Both are found in the Telescope Casual® aluminum outdoor patio furniture line. 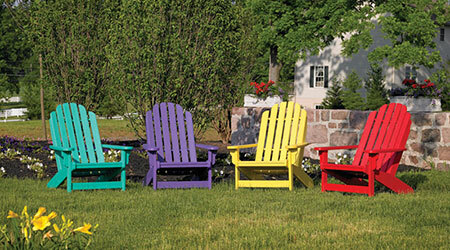 With attention to detail and only the finest cast aluminum, this is a great long-term purchase. 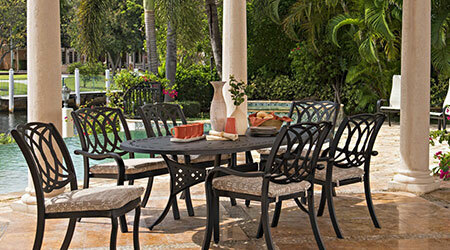 Some of the details found in the Telescope Casual® aluminum outdoor patio furniture line are very intricate and ornate. Whether you opt for the swirling design style of the Ocala collection or opt for the more richly detailed Cadiz option. There is something for anyone when you are looking through these options. 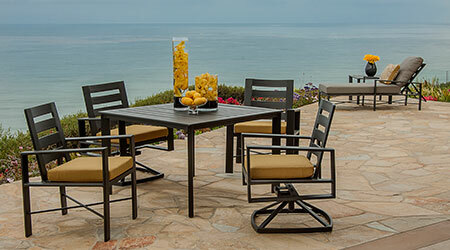 When you buy from the Telescope Casual® aluminum outdoor patio furniture line, you are buying products that were specifically made to last and prepared for all environments. You know that each piece of furniture is designed to last and created to require minimal maintenance. From the use of all-weather fade-resistant fabrics to powder-coated aluminum, and marine-grade polymers, Telescope Casual® does everything possible to guarantee that your investment lasts.